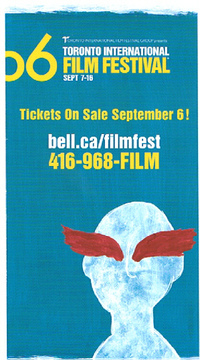 As everyone should know, the Toronto International Film Festival comes to, well, Toronto, and takes over Yorkville starting September 7 2006. Since Shoelover is also know to maintain a healthy presence in Yorkville, you can be sure that Shoeguy will be out there snapping pics of all the neat shoes being worn by the A, B, C and even D-listers who slither come in to town. when snooping through Shoe Guy's drawers. Well, You have all heard of bad product reviews. P.S. Disclaimer - Shoelover does not condone or support "Don't Date Him Girl" and does not vouch for the accuracy of any data found on the site. Shoelover has never submitted information to Don't Date Him Girl, but sees at as an excellent way to exact revenge on childhood tormentors, bill collectors, ex lovers, men who like to wear women's underwear and corrupt corporate executives.